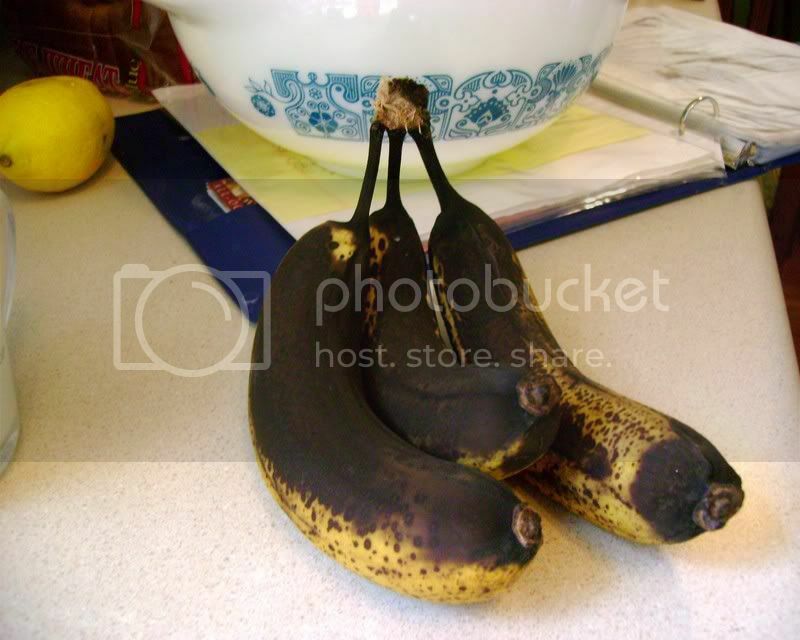 your bananas look like this? Well I keep The Man away because he's notorious for throwing out my good dark brown bananas. No matter how man times I tell him I want them to look like this, he starts getting uptight about attracting fruit flies or something... So anyway, after you beat him off with a stick, you mix up this delicious recipe for Buttermilk Banana Cake! Preheat oven to 350 degrees F (175 degrees C). Grease and flour 2 - 8 inch round pans. In a small bowl, whisk together flour, soda and salt; set aside. 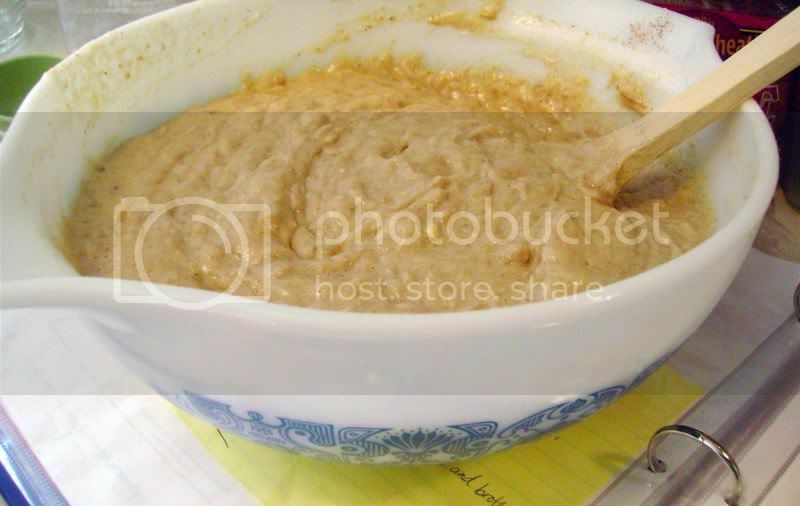 In a large bowl, cream butter, white sugar and brown sugar until light and fluffy. Beat in eggs, one at a time. Mix in the bananas. Add flour mixture alternately with the buttermilk to the creamed mixture. Stir in chopped walnuts. Pour batter into the prepared pans. Bake in the preheated oven for 30 minutes. Remove from oven, and place on a damp tea towel to cool. a dash of cinnamon and ginger... because that's how I roll! I sometimes also use 1 cup of whole wheat flour and 1 1/2 cups of white flour just to make it a bit more nutritious. Oh, and this is divine with cream cheese frosting too. Or just sprinkle white sugar on top before it bakes and then it comes out with a crust on top. Or bake it as a sheet cake for 20 minutes. Oooh, can I come over for a piece? Hmmmm. Yummy! My favorite thing for breakfast is banana bread slathered with butter. LOL! Ooohhh my bananas are just about there! I will try this instead of plain ole banana bread! Thanks! Yum! I thought you were going to say banana bread...that's what I always do...I love it! Beki~ I wish we were neighbors and not just fake internet friends, LOL! I would so crash over to your house this morning with kids in tow for some of that yummy bread and coffee! It's even better the next day, if there's any left. Maddie agrees, she was sitting on my lap when I read this post. When she saw the old banana pic, she said "EW, gwoss...yucky gabanas" but then at the cake picture, "Mom, I want to taste that!" LOL!! I love banana cake! I'll have to try your recipe! Going to make these into muffins for breakfast in the morning! Thanks!